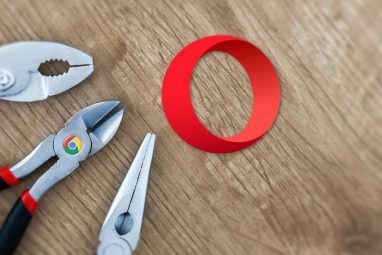 We see and show you plenty of great browser extensions for Firefox, Chrome, Opera, and Safari. Some of these tools are only available for one specific browser. And, and if you need an extension to perform a certain function, then those can work wonderfully. But, when it comes to task lists, calendars, email, and even shopping, it can be quite beneficial to choose browser tools that are available across and sync with other platforms, browsers, and devices. You may be scratching your head and wondering why, so here are five good reasons. If you have vowed to be more productive in the new year 25 Firefox Addons That Will Make You More Productive 25 Firefox Addons That Will Make You More Productive For those who use Firefox, we have suggestions and add-ons that can assist you in successfully satisfying your productivity resolution. 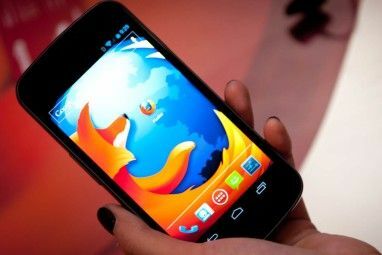 Read More , then having a browser extension that you can access on your mobile device is a terrific start. Being able to add a note, attach a file, or assign an item quickly and easily from any location definitely increases your productivity. Picture yourself at the grocery store when an idea pops into your head for tomorrow’s presentation. Just open the app on your mobile device, add the necessary information, and then when you start up your computer at work in the morning, there is it. Evernote, Google Keep, and Pushbullet are all tools with extensions and apps that can help keep you on that productivity train. 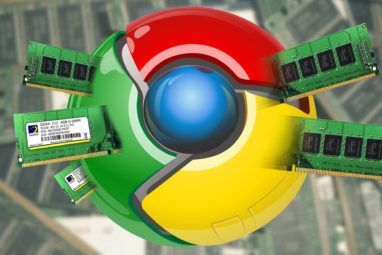 Send notes, save links, create lists, and attach files with tools like these Most Popular Chrome Extensions and Posts of 2015 Most Popular Chrome Extensions and Posts of 2015 It is time to take a look back at some of the new features, notable MakeUseOf posts, and standout extensions surrounding one of the most popular browsers, Chrome. Read More that you can take anywhere. If you happen to be using a browser extension that you cannot access the data for anywhere else, then what would you do if you lost it? Computer crashes, loss of Internet connectivity, operating system corruption, or even a problem with the extension itself can all be unexpected issues that arise. So, if you cannot access that all-important extension, then you have a big problem. A good example is a calendar extension. If you maintain your appointments, events, and reminders with a calendar extension only available via your browser, you will be missing all of those important items if you cannot access it. Instead, look at browser tools for calendars that are available in other browsers as well as on your mobile device How to Sync Google Calendar with Every Other Platform How to Sync Google Calendar with Every Other Platform Google Calendar is arguably the easiest, most intuitive and most versatile way to organize your day. The only problem users commonly encounter is syncing it with their devices. Read More . This allows you to use the extension in another browser or on your mobile device which is even more convenient. Google Calendar, Zoho Calendar, and even GoToMeeting for Google Calendar all have extensions and mobile apps. Not only does this protect you against missed appointments and data loss for your events, but it’s handier because you will have your calendar and reminders popping up no matter where you are. When it comes to those lists of to-dos you have piled up, whether for work or home, having tools that show you what is on your plate for the day is essential. Additionally, if you use a tool to manage projects, having it at your fingertips in the office can be a life-saver for when information or a file is needed. So, if you have a browser extension for your tasks and projects, what happens when you walk away from your desk? Do you miss a task reminder? Do you go to the meeting without the document? Tools like Todoist, Wunderlist, and Toodledo have browser extensions along with mobile apps and even Web access. This is even better because you can open them from another computer if needed, a different browser if you have to, and on your mobile device when you are on-the-go. You will stay on track much more easily with your daily, weekly, and monthly tasks always at hand using a cross-platform tool. In addition to those important task management apps, many people use tools like Trello or Podio for complete project organization. These two tools are available on the Web and have mobile app options. Trello also has an addon for Firefox and both have extensions for Chrome. So, whether it is simple task management or total project organization 10 Unique Uses of Trello Other Than Project Management 10 Unique Uses of Trello Other Than Project Management Trello is a list lover's delight. Its Kanban-style approach was not meant just for project management. Don't believe us? Look at these ten unique uses of Trello. Read More , try to use tools that can be accessed when you walk away from your computer. Again, if you use an alert system that is only available on your preferred browser, what happens when you cannot see it? This can be as important as a reminder for a meeting, a notification of a crucial email, or even something as fun as a special sale at your favorite store. While exclusive browser extensions for alerts such as telling you it is time to take a deep breath or get up and stretch 7 Simple Firefox Notifiers for Mail, Weather, and Break Time 7 Simple Firefox Notifiers for Mail, Weather, and Break Time Do you maintain focus better when you're not constantly worrying about the time or needing to check your email? Then you'll love getting notifications for all of this. Read More are good to have, when it comes to those essential reminders, go for something broader. For the enjoyable alerts for new promotions at the stores you shop, tools like Shoptagr are available to keep you in the loop. They are accessible from almost any browser Find Great Deals Shopping in Safari Without Lifting a Finger Find Great Deals Shopping in Safari Without Lifting a Finger You are looking at product you want to buy online in Safari and suddenly a pop-up displays. It tells you that you can get that cool item elsewhere for $20 less. That's smart! Read More , via the Web, and have mobile apps. So, whether you are at home or out for the day, you can receive that notification and head over to the sale to save yourself some money. When it comes to email, most people use popular tools like Gmail, Outlook, or AOL. Whichever is your preferred email client, make sure to see if they have both a browser extension and mobile app and get them installed. Some email apps like Spark or Boxer let you set up several different email accounts, which is really convenient. But, when it comes to your browser, why keep your email open in tab all day to continue checking it if there is a browser tool that can notify you when something new comes in? When it comes to extensions and tools that sync allowing you to use them anywhere, it really does just make life easier. You do not have to worry about using a specific browser, always checking your mobile device, or finding a way to jump onto the Web. Tools that are essential like a calendar, to-do list, project organizer, or email should be accessible no matter where you go. Do you look for tools that are available across platforms? 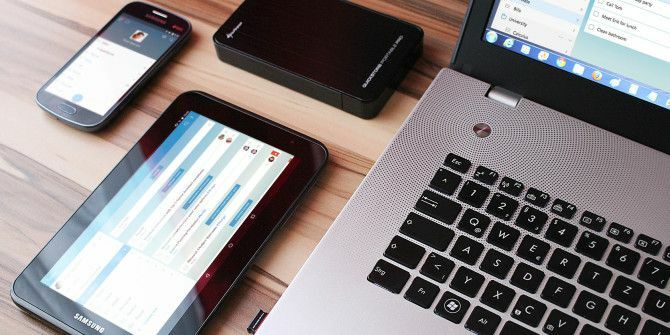 Tools that are accessible on multiple browsers, available on iOS and Android mobile devices, and even have reliable Web access, are essential to keeping your data close at hand. Do you keep these things in mind when you look for new tools or is cross-platform compatibility not important to you? Share your thoughts with us below! Completely agree with this article. I tried various Chrome extensions for my new tab, but I never could get my data (e.g. bookmarks) to work on the other browsers I use (e.g. Safari in my ipad). I'm now using the cross-browser and cloud-based start page https://start.me, which works across all my devices/browsers. I have several web apps on my Chromebook and when I'm work they show up as a Chrome App on my Windows laptop. I have the same look and feel and everything is there on both computers. I always look for cross-platform stuff. I don't want to become trapped in one operating system.